Who we are 2112 Business are a business consultancy based in Glasgow, Scotland who specialise in all aspects of business strategy and business planning. Our aim is always to help you to create strategy and plans that work for your business. The business, which originally traded as Komita Management, was started by the MD, Ian Brown over 10 years ago. Ian is an expert in helping business develop and implement effective strategies and has worked with business across a wide variety of sectors. With extensive expertise in business strategy development, planning, marketing, and intellectual property rights we have the expertise and experience to give your business a competitive advantage. No Matter whether your business is a new venture, or an established business, we have the expertise and experience to give your business a competitive advantage. 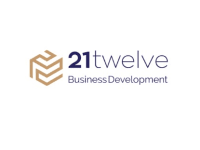 What we do 2112 Business Development specialise Business Strategy Development, Business Planning and Strategy Implementation, as well as providing Business Audit services. We work closely with the key people in your organisation, using highly participative decision support tools and techniques to gain a clear understanding of what you want for your business - your vision for its future. Next, we consider where the business is today, how its is going to move forward and what may get in the way. This creates a robust business plan that is grounded in reality and can prove to be a powerful catalyst for change in your organisation. We do not operate a 'one size fits all' solution but rather tailor our services and methods to meet your specific needs to create a robust strategy for your business.